There has been a car ferry service crossing the Kylerhea straits since 1934. However, the closest point to the Isle of Skye has been a crossing point for hundreds of years. It is the first recorded ferry between Skye and the mainland and is mentioned by Martin Martin in his journal of his tour of Skye in the 1630s. This was also the drove route by which cattle were taken to and from Skye to market in Central Scotland. The Glenelg - Skye Ferry service operates between Easter and mid-October. The ferry normally operates seven days a week between 10am and 6pm. Sailings are every twenty minutes or as required. The ferry, the Glenachulish, is the last manually operated turntable ferry in Scotland. 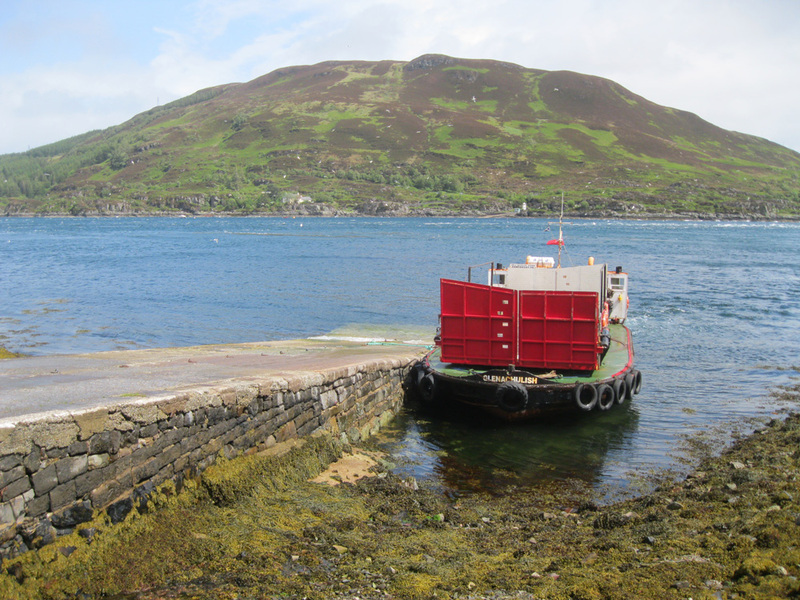 The Skye Ferry is community-owned and operated by volunteers. A detailed history of the ferry can be seen here. The slipway at Kylerhea on the Skye side was built by Thomas Telford and his associates in 1821. In the nineteenth century, crofters had their rents reduced in return for working the ferry; they were paid 6d for every head of cattle ferried, half of which went to the innkeeper.